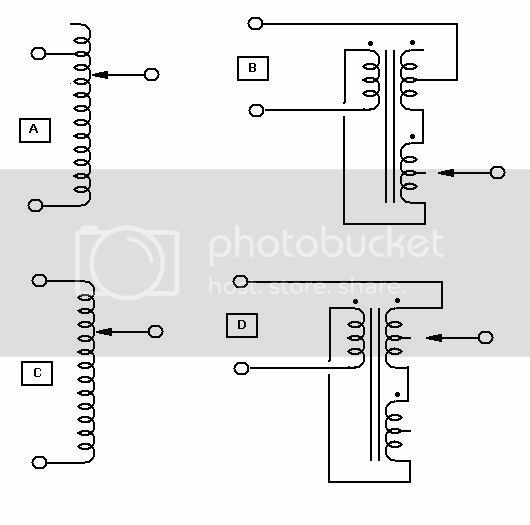 I have a 30-0-30 3amp transformer, once rectified, each side will be putting out +/- 42 V. What size resistor would I put in place to reduce it to +/- 40 V on each side? I have it figured out to 15k, but I think I am wrong, that seems too high. What formula should I use? I do not know what difference 2 VDC can make? Normally this would not at all bother a power amplifier. If trafo is a toroid, add a few turns of #14 solid insulated wire around it and add to the primary. Get the direction right first, the tune # of turns till the DC is what you want. Well, i think with resistor it's not a very good idea if you want to put out power from this supply. It depends on how many amperes you need. With voltage regulator, it's possible until 1,5 ampere but you need to false the gnd pin with a zener diode of 4V or with any voltage source of 4V (because there running until 36V max(check max voltage input before i'm not sure they admit 42 V)). You can try another solution with NPN and PNP power transistor(maybe a darlington because you need less drive current). The collector of the transistor connected to the output of the capacitor filter,the base will be connected to your reference voltage (zener diode or potentiometer)filtered by another electrolytic capacitor(like this you have a capacitor multiplier and you ensure appropriate filtering), the emitter will be the output of your regulator. (a difference of 1,2 v between base and emitter appears, it's normal). Remember to put your transistor on heat sink. Hope you've got a part of response in this reply. There is every chance that after you take that 30-0-30 transformer and use it as 42 P2P voltage and run these through a bridge rectifier, you will be close to 40 V anyways. There are precious few things that can reliably take +/-40V that cannot take +/-42V. You can take a CL60 thermistor between the rectifier and first smoothing cap on each rail to reduce a few volts - and act as a soft start. But dropping a couple volts seems trivial. Also, instead of an CRC filter, try a LCRC. The inductor in front should reduce the voltage a bit too, correct? I just ran it the way it is...works fine. However, I have seen this done on several amps....I am surprise to see people post that "it doesn't work this way"
Maybe they know something that you don't know? The correct way to do it would be with a 6.3V transformer connected as an autotransformer. The amperage of the secondary must be equal to the amperage of the primary of your transformer. Using a 6.3V transformer configured like fig.D will cause the voltage to be stepped down about 5%, just what you wanted.